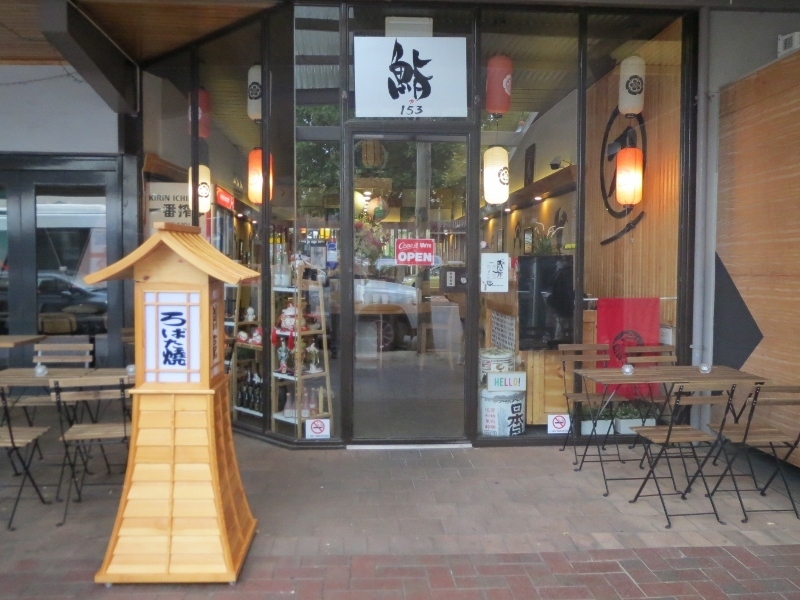 Located on O'Connell Street in North Adelaide, Katana Sushi Train offers a wide range of sushi as well as a few hot dishes. 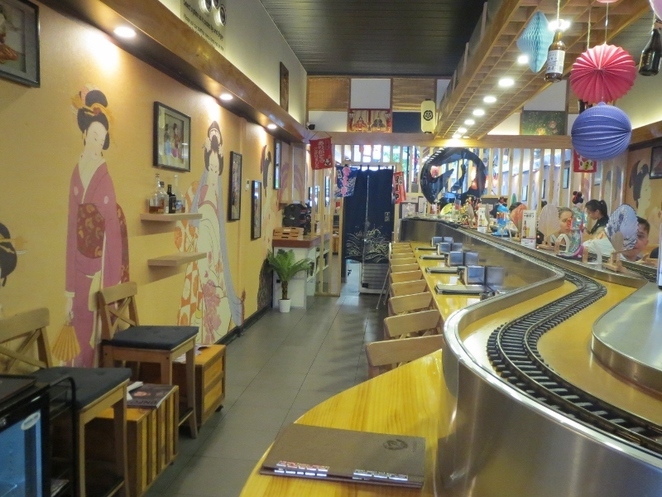 Most of their sushi dishes can be taken from the train that circles the centre of the restaurant with the colour of the plates indicating its price. If you wish for a specific type of sushi not present on the train, you can request to have it made for you. One of the hot dishes available during our visit, the eel fillets in their Unagi Don were quite thick with the sweet glaze setting off its rich flesh nicely. 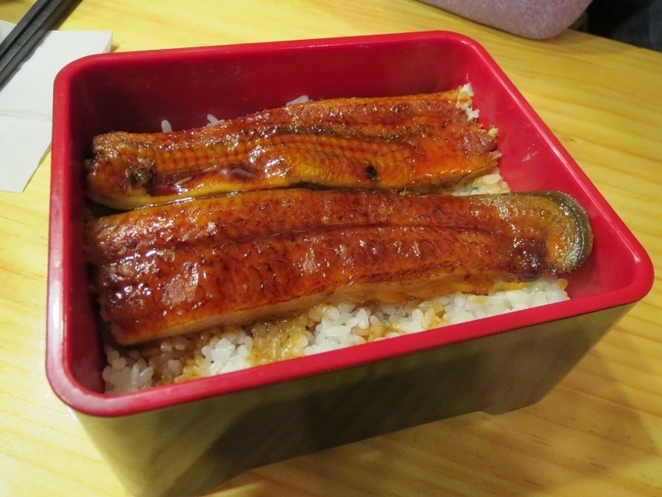 The eels were served on a bed of rice whose plain flavour was a good foil to the rich taste of the eel. Another of the hot dishes that can be enjoyed, the udon noodles in their Classic Udon was cooked to al dente and the broth helped to subtly enhance its flavour. 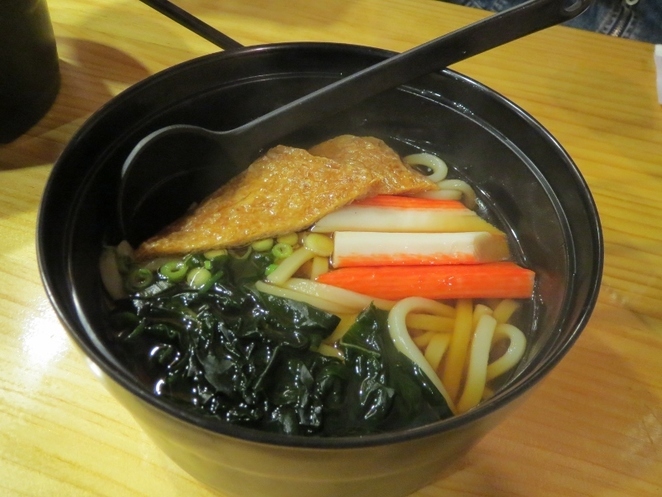 The dish also included crab sticks, fried tofu and seaweed to add texture and flavour. We enjoyed both hot dishes and look forward to coming back for a taste of other hot dishes that will be added to the menu soon. 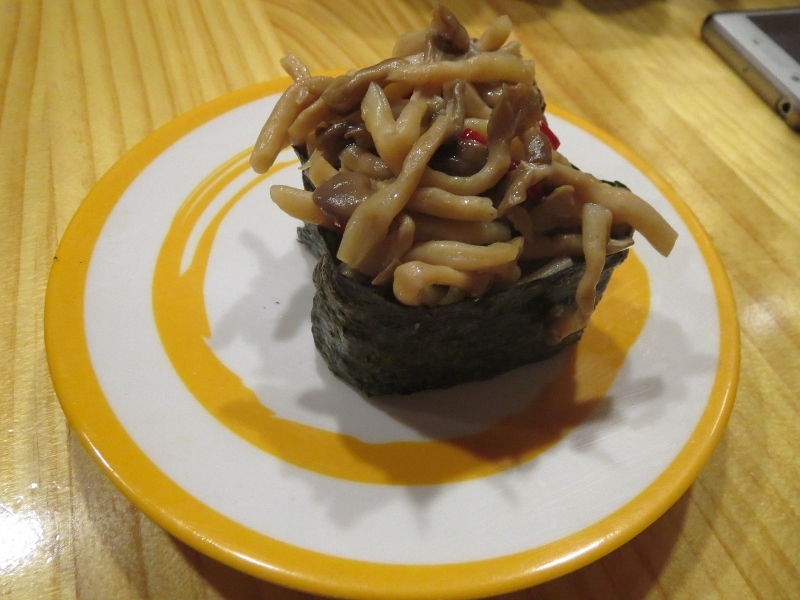 Their Mushroom Sushi is one of the more unique sushi available, featuring a generous topping of what looked like shimeji mushrooms. The mushrooms had a bite to them and a wonderful slightly sweet taste. It is advisable to try to eat it in one bite as it can get a bit messy if you try to bite into it. 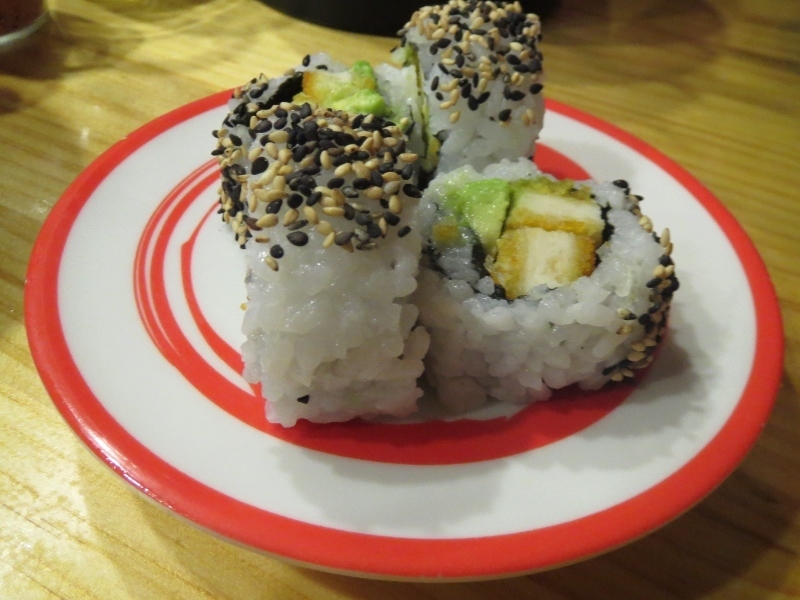 Taking the form of a California Roll in which the sushi rice is on the outside of the roll, the chicken in their Karaage Chicken Roll was cooked just right with the avocado being a good contrast to the crisp coating. 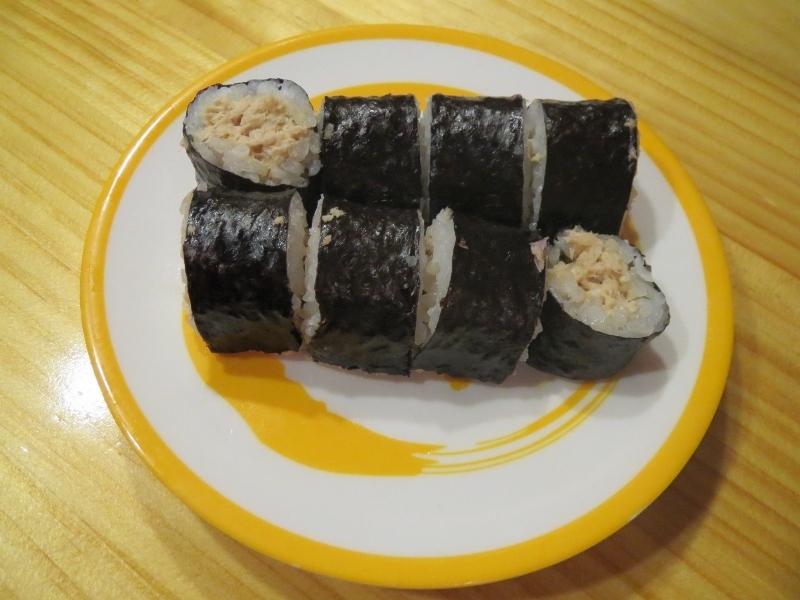 A sprinkling of sesame seeds on the roll completed the dish by providing a bit of a nutty flavour. Something more along the line of sushi that can be seen at most sushi places, the portion size of their Tuna Sushi is quite good for sharing. The filling had a bit of a creamy taste. Complimentary pickled ginger and wasabi are available on the sushi train for adding flavour to your dishes. 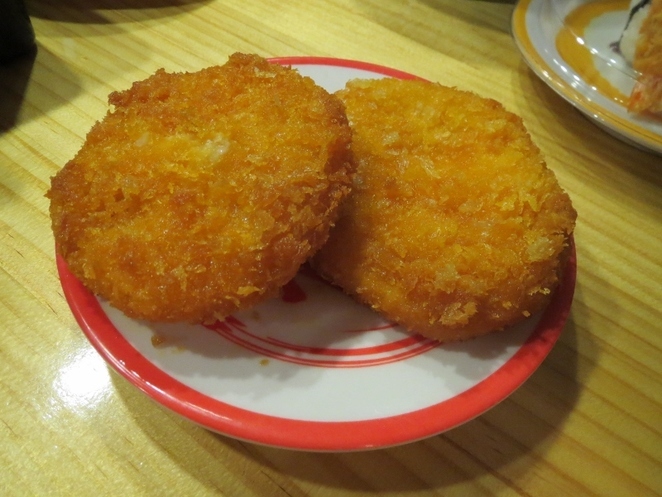 If you are after a hot side dish, their Vegetable Croquettes is a good choice. The Croquettes were of a good size and the crisp golden brown coating contrasted well with the fluffy filling. The décor of the restaurant gave it a cosy and quiet atmosphere. Street parking is available on the street where the restaurant is located. Love this concept; a great treat for the kids.